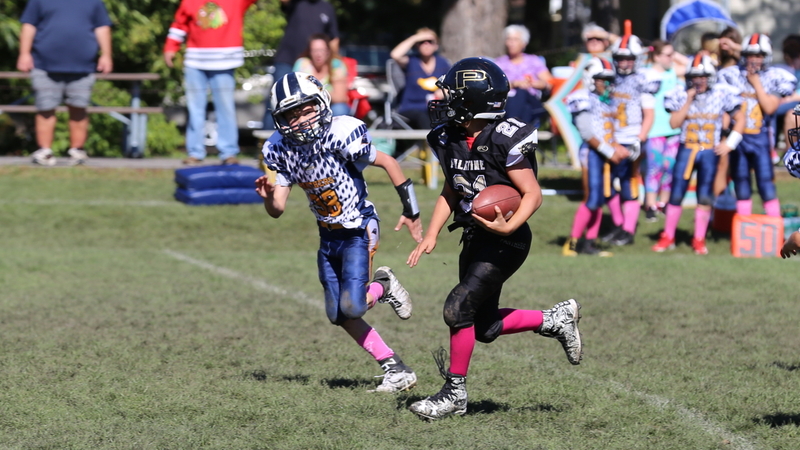 Registration for Palatine Amateur Football Association (PAFA) offers tackle football for third through eighth graders and flag football for kids in kindergarten through sixth grade. The last day to register for tackle football is Tuesday, May 1. Players must also be fitted for their jersey at Sports Scene, 712 E. Northwest Highway, in Palatine and select their jersey number by this date. Flag football registration will remain open until Sunday, July 15. PAFA’s approach to the game is safety first. Players are encouraged to achieve excellence on and off the field and that begins with character building and treating other players with respect. All PAFA tackle football coaches are USA football certified, and annually complete an extensive training program focused on teaching the fundamentals of football. PAFA strives to build strong football families through activities both on and off the field. To register online, visit palatinepanthers.com. Registration fee is $100 for Palatine Park District residents, $126 for non-residents within the boundaries of Palatine and Fremd High Schools, and $158 for non-residents outside these High School boundaries. Equipment handout will be on Monday, July 9 at Palatine Park District’s Community Center between 6:00pm and 8:00pm. A check deposit is required for equipment. First day of practice is scheduled for Monday, July 30 at Ost Field. For more information, contact Palatine Park District Athletic Coordinator Todd Ranum at 847.496.6238 or tranum@palatineparks.org. Palatine Amateur Football Association is focused on building a strong football community, providing local youth an opportunity to learn the fundamentals of football in a safe, positive environment, while building confidence, discipline, and character. Palatine Amateur Football Association is a Palatine Park District affiliate organization.